Scientists believe that more than half of the world’s animal species lives in rainforests, according to the Blue Planet Biomes website. Rainforests are warm and wet, and its plants generate a large amount of the earth’s oxygen. 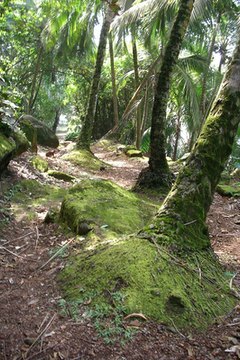 Tropical rainforests can be located in Southeast Asia, Australia, West Africa, South America and southern India. A variety of animals can be found in each rainforest. Alligators usually are found in and near water. 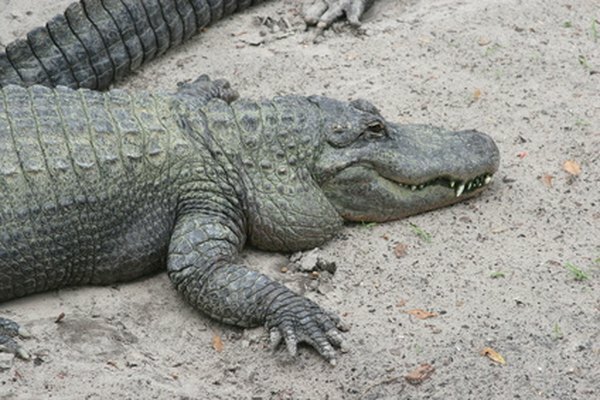 American alligators can reach up to 19 feet in length, while Chinese alligators will grow to about 6 feet. Both species can be found in a tropical rainforest. Alligators have a long, rounded snout and are dark green to blackish in color with a white belly. Alligators have a tough, leathery skin. These animals feed mainly at night, on turtles, reptiles, fish and birds. They have a life span in the wild of up to 35 years. Anacondas, also known as water boas, are the biggest snakes in the world. The longest known anaconda was 37½ feet long, according to the Enchanted Learning website. These snakes generally are found on land; however, they spend time in shallow water hiding from their prey. The snakes hunt by squeezing their prey to death or drowning their prey and eating it. Anacondas will eat animals such as rodents, fish, deer, birds and rats. Their color is greenish-brown and they have rows of black, oval spots along their bodies. 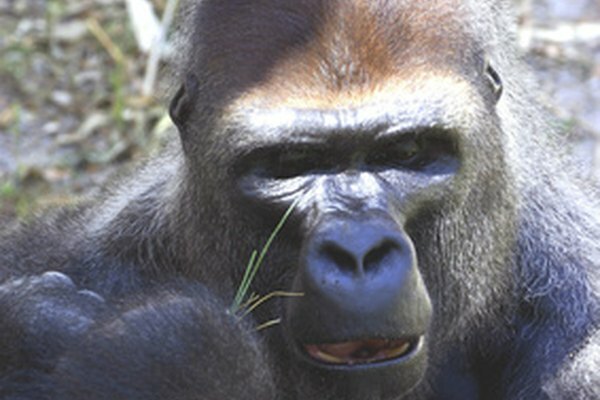 Gorillas are gentle apes that are mainly found in African tropical rainforests. These animals have arms that are longer than their legs and a bulging forehead. Their hands and feet are much like those of humans, and they are covered in blackish-brown, coarse hair. Females reach approximately 200 pounds in weight, while males can grow to about 400 pounds. Gorillas eat flowers, fruit and leaves. They can eat up to 50 pounds of food per day. 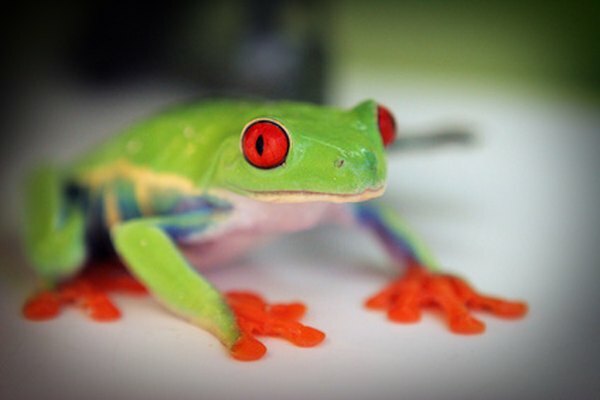 Red-eyed tree frogs primarily are found in tropical rainforests and will live in water or on land. These frogs get their name from their bulging, red eyes. Red-eyed tree frogs have a bright green body with blue sides and yellow stripes. Males grow to approximately 2 inches in size, while the female can reach up to 3 inches. This frog eats insects and sometimes will eat other small frogs.